Jelly Belly Candy Company was formerly known as The Herman Goelitz Candy Company. The company was founded in the year 1869 and has its headquarters located in Fairfield, California, United States of America. The Jelly Belly Candy Company produces about 37 million pound of candies every year. The American based company serves worldwide. The products of the company include jelly beans, candy corn, mellow cremes, gummies, Sunkist, jells, chocolate confections, etc. The company offers its service through online and in mobile applications. Jelly Belly Candy Company has about 50 flavors officially for its Jelly belly jelly beam. There are currently 0 consumer reviews about Jelly Belly Candy CO available. Share your review. 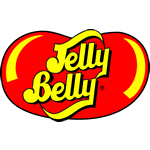 Please take a note that you are about to post a public review about Jelly Belly Candy CO corporate office on CorporateOffice.com. This review will be public, so please do not post any of your personal information on this website. If you would like to contact the corporate offices of Jelly Belly Candy CO, please use their contact information such as their phone number, website, and address listed above to contact them. However, sometimes staff from Jelly Belly Candy CO headquarters do read the reviews on this website.